Patrick van Aanholt came off the bench to relieve the pressure on manager David Moyes as Sunderland collected just their second point of the season in a 1-1 draw against West Brom. The Black Cats were trailing to Nacer Chadli's 35th-minute opener with seven minutes remaining when Van Aanholt, who was withdrawn from the side to face Tottenham just minutes before kick-off on the advice of a cardiologist, bundled the ball home to level. He immediately ran to the touchline to celebrate with club doctor Ishtiaq Rehman, who is understood to be working his notice after tendering his resignation earlier this week. The draw spared Moyes a return of just a single point from the first seven games of the Premier League season, the same record as that which cost Paolo Di Canio his job at the Stadium of Light at the start of the 2013-14 campaign. The contest was just four minutes old when Duncan Watmore, playing in the central role behind lone striker Jermain Defoe, exchanged passes with Didier Ndong and slid the ball through to the former England frontman. Defoe was just onside, but with only keeper Ben Foster to beat, he dragged his shot inches wide of the post. 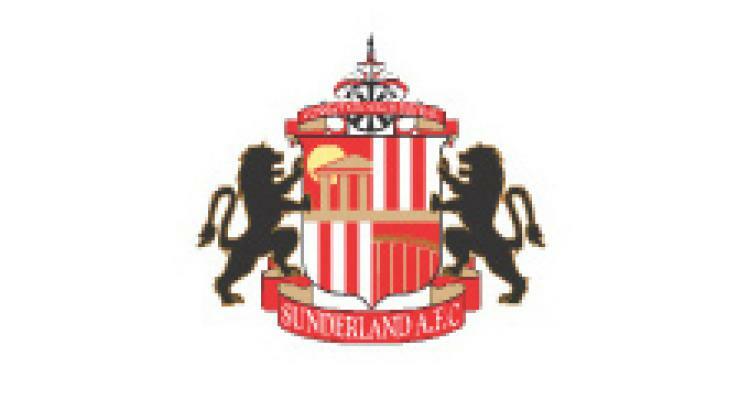 Despite an encouraging start, Sunderland simply could not find a final ball to trouble the visitors, and it was Tony Pulis' men who forged the more promising openings with Jordan Pickford having to beat away Chadli's 12th-minute shot from a Matt Phillips cross. Phillips and James McClean, who was booed at every touch on his return to Wearside, failed to trouble Pickford from distance, but the keeper was given no chance when West Brom took the lead 10 minutes before the break. Claudio Yacob left Jan Kirchhoff appealing in vain for a free-kick on halfway after robbing him and fed Phillips, whose pass allowed Chadli to fire left-footed across Pickford and inside the far post. Moyes' players returned in determined mood with his half-time words no doubt still ringing in their ears, but although they took the game to the visitors, they repeatedly ran into dead ends. Their fortunes took a further turn for the worse with 56 minutes gone when midfielder Jan Kirchhoff was carried from the field on a stretcher and replaced by Van Aanholt, and they could have fallen further behind with Pickford having to parry Darren Fletcher's shot before Chadli scuffed wide after the ball had been recycled. The game became increasingly untidy as the Black Cats laboured in the search for an equaliser, but it took a brave block by old boy Jonny Evans to deny Defoe after he had been picked out by Wahbi Khazri 19 minutes from time, although Pickford had to save from Salomon Rondon at his near post seven minutes later. But salvation arrived 10 minutes from time when Van Aanholt ran on to Watmore's cross and scuffed a shot into the ground and saw the ball bounce over the helpless Foster and into the net.